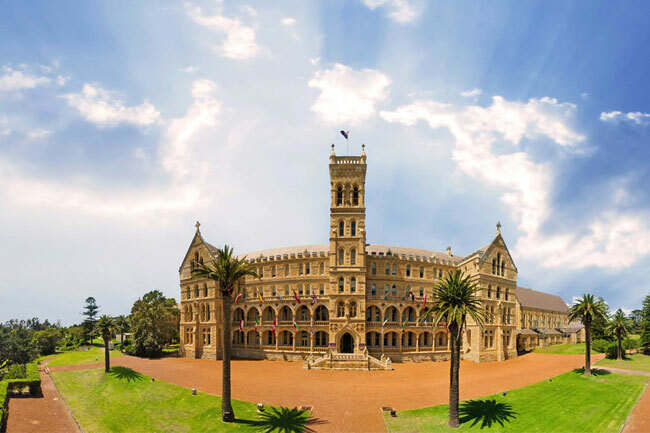 One of the most impressive and imposing buildings in Manly is the former St. Patricks seminary; a grand building and estate perched atop the Eastern Hill. Go just about anywhere in Manly and you'll see the golden sandstone 'castle' shining up on the hill. These days the former seminary is one of Australia's most respected education institutions, The International College of Management, Sydney (ICMS) and they're hosting an information evening for prospective undergraduate students this Thursday, 30 April from 6:30pm. This event is the perfect opportunity to visit the stunning Manly Beach campus and get all the details about studying at ICMS directly from academics, staff and current students. You'll also get an insight into how ICMS integrates up to 9 months practical experience in every degree through their unique Industry Training program. Outside of academic and course information the panel of speakers will address topics such as career and graduate outcomes, student experience and support, application options, scholarships, accommodation and FEE-HELP. Guests will have the opportunity to ask questions in an open forum or one-on-one with College staff post event. The college has intakes in May and September so this event is ideal for anyone looking to start a degree mid-year. Those planning to study in 2016 e.g. current year 12 students are also encouraged to attend.